HYDE LOUNGE WILL DEBUT AT LAS VEGAS ARENA IN SPRING: Los Angeles-based leading lifestyle hospitality company sbe will launch Hyde Lounge at the new $375 million indoor 20,000-seat venue Las Vegas Arena in April 2016. The 18,000-square-foot space will feature an intimate lounge experience complete with bottle service, plush couches, high-energy DJs, VIP elevator access, a selection of culinary treats, and skyline views of the famed Las Vegas Strip. CRACKER BARREL RESTAURANT AND STORE PLANNED FOR SILVERTON: Cracker Barrel Old Country Store, which includes the restaurant and store, is planned for the Silverton resort and expected to open in late 2016. The distinctive chain has nearly 650 outlets in 42 states and Nevada can make it 43 leaving Alaska, California, Hawaii, Oregon, Vermont, Washington and Wyoming and still without. The menu favors Southern dishes including all-day breakfast with biscuits and country ham. The lunch/dinner menu starts at 11 a.m.
PLAZA WILL START MULTI-MILLION DOLLAR POOL RENOVATION: The Plaza downtown will begin a multi-million dollar extensive renovation to its rooftop pool on Jan. 4. The renovations occurring over the next several months will create a brand new rooftop pool experience with the addition of new cabanas, daybeds, dining areas, bars and greenery. The project will also include resurfacing and maintenance to property’s 70,000-square-foot pool deck. In addition guests will experience live entertainment, gaming and a full menu of food and beverage options. WIZ KHALIFA LAUNCHES EXCLUSIVE DJ RESIDENCY WITH TAO GROUP: Hip hop artist Wiz Khalifa will launch an exclusive residency with TAO Group venues in Las Vegas as his DJ alter-ego, DJ Daddy Kat, beginning early 2016. The multi-faceted artist kicked off his eight-date residency at TAO Nightclub on Jan. 1 with additional dates there that include: Friday, Jan. 8; Saturday, Feb. 6; and Friday, March 18. Future dates and venues will be announced at a later time. 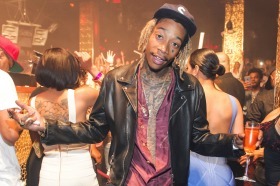 After immense success as a performer, musical genius Cameron Thomaz/Wiz Khalifa is making waves all over the world at the best parties as DJ Daddy Kat, known for his “trap” DJ style. NEW YORK-STYLE FOOD FEATURED AT GAMBLER’S CAFÉ: A fairly new dining place serving breakfast and lunch is Gambler’s Café located inside the Gambler’s General Store at 800 S. Main Street. Café hours are 7 a.m. to 3 pm. on weekdays and 8 a.m. to 2 p.m. on weekends. 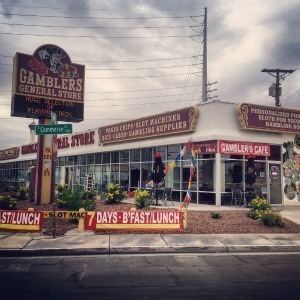 The restaurant was created by gambling legend Avery Cardoza from Brooklyn, N.Y. The signature sandwiches are heroes made with real Italian bread, crusty on the outside, soft on the inside, and Boar’s Head meat. There’s also Wise potato chips, Dr. Brown’s soda, salads, omelets, black and white cookies and real bagels that are boiled then baked. Note that the phone number is 702-432-HERO (4376). THE WHO’S RELAUNCHED TOUR STOPS AT CAESARS PALACE: The Who rescheduled dates for their “The Who Hits 50!” North American tour, which was postponed earlier to allow lead singer Roger Daltrey to recover from his bout with viral meningitis, has the power group performing Sunday, May 29 at The Colosseum at Caesars Palace. Tickets for the originally scheduled shows are being honored at the new tour dates. TEEN POP OPERA SENSATIONS IL VOLO BOOKED AT THE PALMS: Italian teen pop opera trio Il Volo has a tour stop planned at The Pearl inside the Palms on March 25 at 8 p.m. Tickets start at $43. 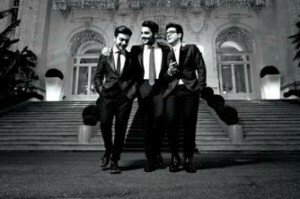 Last September, Il Volo released their fifth studio album “Grande Amore” via Sony Music. Also Public Broadcasting Television (PBS) aired “Il Volo: Live From Pompeii,” which is an interesting look at their concert at the legendary ruins of Pompeii. The spectacle marked the first time since 1971 that an artist, the last was Pink Floyd, had performed at this famous site located near present-day Naples. PRACTICE SCALE THE STRAT CLIMB SCHEDULED JAN. 23: The Stratosphere on behalf of The American Lung Association in Nevada will open up the top flights of stairs at its high tower for a special #TrytheTower practice climb on Saturday, Jan. 23 from 7 a.m. to 9 a.m. The actual Scale the Strat race day will be Sunday, Feb.28 when climbers tackle all 108 floors and 1,455 steps.The practice climb will allow climbers access to the stairwells at the very top of Stratosphere Tower, Level 101 to Level 112. Practice climbers can tackle the 234 stairs between Level 101 and Level 112 in small groups as many times as possible. Unlike the full climb, the practice climb is not timed. The cost is $30 and each climber will receive two coupons for free admission to the Stratosphere Tower with a friend for use at a later date. Climbers can sign up for the practice climb at action.lung.org/TrytheTower2016 or register onsite the day of the event by the Top of World podium inside Stratosphere Tower on the second level, starting at 6:30 a.m.
DIXIE CHICKS SUMMER TOUR WILL STOP IN LAS VEGAS: Music superstars, Dixie Chicks, are returning to touring with their upcoming DCX MMXVI World Tour. The multiple GRAMMY Award–winning and multi-platinum selling band will stop in Las Vegas on their North American tour for one night only at the new Las Vegas Arena Saturday, July 16. AC/DC WILL HEADLINE MGM GRAND GARDEN ARENA: Legendary rockers AC/DC are coming to the MGM Grand Garden Arena Friday, Feb. 5. Tickets are priced at $128.44. The Rock or Bust World Tour comes after a massive year for the band, with AC/DC kicking off the 57th annual Grammy Awards, headlining at Coachella, and completing 17 shows in Europe, 14 shows in North America and 11 shows in Australia/New Zealand. 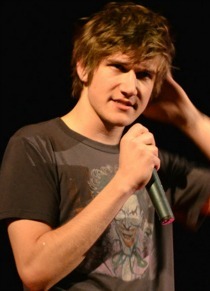 COMEDIAN BO BURNHAM BRINGS HUMOR TO THE HARD ROCK: Comedian and actor Bo Burnham will bring his live show, which is a blend of stand-up, music and theater, to The Joint at Hard Rock on Saturday, Jan. 30 at 8 p.m. Tickets start at $49.50. Burnham is recognized for his satirical comedy commenting on social issues, celebrity culture and the nature of comedy itself. Burnham recently created and starred in the MTV series “Zach Stone is Gonna Be Famous” and wrote a book of poetry, “Egghead,” which became a “New York Times” bestseller. BECK AND WYCLEF JEAN WILL PERFORM AT BROOKLYN BOWL: Folk rock artist Beck is returning to Las Vegas for a performance at Brooklyn Bowl at The Linq on Thursday, Jan. 7 at 9 p.m. Tickets start at $75. 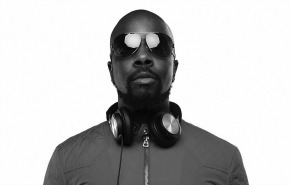 Wyclef Jean will make his Brooklyn Bowl debut on Friday, Jan. 8 at 9 p.m. Wyclef has had 10 Grammy Award nominations and 11 albums to his credit, along with a well-documented history of political and civil rights activism. Tickets start at $35. THE IMPROV AT HARRAH’S SHOWCASES DIFFERENT COMEDIANS WEEKLY: The Improv at Harrah’s is the longest-running comedy club on the Las Vegas Strip. The comedians performing Jan. 5–10 are Don McMillan, Brian McKim, and Traci Skene. Future headlining comedians this month include: Bob Zany Jan. 12-17; Darryl Lenox Jan. 19-24, and Dat Phan Jan. 26-31. Shows are at 8:30 p.m. Tuesday through Sunday and also at 10 p.m. on Friday and Saturday. Tickets start at $30.50. MOB MUSEUM HOLDS 2016 COMMUNITY SAFETY FORUMS: The Mob Museum will hold its 2016 Community Safety Forums sponsored by NV Energy the third Sunday every month from 2 to 3 p.m. Presentations are free and open to the public and include free general admission to the museum following the presentation as well as livestreaming of the event. Upcoming Community Safety Forum dates and topics include: Jan. 17 – Distracted Driving and Accident Prevention; Feb. 21 – The Active Shooter; and March 20 – The Ins and Outs of the Clark County District Attorney’s Office. HISTORIC MORMON FORT HOLDS WEEKLY SATURDAY PROGRAMS: The Old Las Vegas Mormon Fort downtown hosts weekly programs every Saturday. This month starts off Jan. 9 from 10 a.m.-2 p.m. with Make Your Own Covered Wagon replica followed on Jan. 16 from 9 a.m.-1p.m. with Hot Chocolate with a Ranger around a campfire discussing the Old Fort. On Jan. 23, there will be a history talk The Old Fort from the American Indian Perspective at 11 a.m. 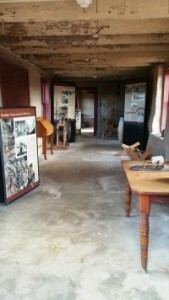 The last week on Jan. 30 from 11 a.m. to noon will be an Adobe Brick Demonstration. These programs are good for the whole family. Admission is $1 for ages 13 and over; kids 12 and under are free; however, it is cash or check only. 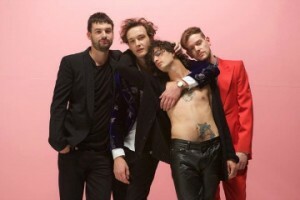 THE 1975 WILL VISIT COSMPOLITAN IN APRIL: U.K. art-pop quartet The 1975 with special guest The Japanese House will headline at The Chelsea inside The Cosmopolitan on Saturday, April 23 at 7 p.m. Tickets start at $25. The 1975 formed while they were schoolmates in Manchester, England. In 2012, the band went on to sign with U.K. indie record label Dirty Hit and released its first EP “Facedown” featuring the hit single “The City.” The 1975 will embark on a North American headline tour in support of their anticipated sophomore album available Feb. 26 via Dirty Hit /Interscope. LVMS FINALIZES 2016 DRAG RACING SCHEDULE FOR THE STRIP: It’s going to be another busy year at The Strip, which has become renowned as one of the country’s elite drag strips, at Las Vegas Motor Speedway (LVMS) in 2016. From two National Hot Rod Association events to 12 installments of LVMS bracket racing and O’Reilly Auto Parts Mayhem, the track will be buzzing. The Strip kicks off its 2016 schedule on Jan. 17 for the Street 2 Track event, and the drag strip will be busy all year until the Dec. 4 Import Face Off closes its competitive calendar. 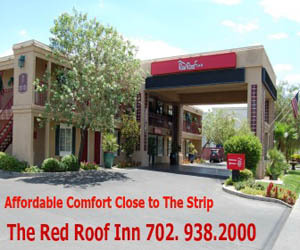 The NHRA Spring Nationals will be April 1-3, and The Strip will host a second NHRA Mello Yello Drag Racing Series event Oct. 27-30 when the NHRA Toyota Nationals returns to LVMS. The Strip is one of just three tracks – along with Pomona, Calif., and Charlotte – that will host two NHRA events in 2016.In addition, November’s calendar will include the popular Street Car Super Nationals and Thanksgiving Bracket Nationals. MISCELLANEOUS NEWS CLIPS: Reminder John Fogerty will arrive in town for his eight-show residency “Fortunate Son in Concert” Jan. 8-23 making a statement on a Harley-Davidson motorcycle Tuesday, Jan. 5 at 10 a.m. at Doge’s Palace Bridge at the entrance to The Venetian. He will be escorted by a parade of 50 motorcycles. Queensryche will bring classic rock to the Hard Rock Live inside the Hard Rock Café on the Strip on Saturday, Jan. 9 at 8:30 p.m. Tickets are $25 in advance and $30 day of show. Another classic group Europe will visit on Saturday, Jan. 23 with a show at 8 p.m. Tickets are $30 and $35 day of show. Kicks Lounge at Footaction featuring athletic gear with Nike brand shoes, apparel and accessories has opened at the Miracle Mile Shops next to Flight 23 at Footaction. “Vegas Voice” is presenting An Afternoon Affair featuring local artists including Nik “At Nite” Mastrangelo, Victoria Hart, Gary Anthony and Andy DiMino inside the Veil Pavilion at the Silverton on Tuesday, Jan. 19 at 1 p.m. Tickets start at $12. Future Stars of Wrestling will return to the Veil Pavilion inside the Silverton on Saturday, Jan. 30 at 6:30 p.m. Tickets start at $15 for this all-ages show. South Point Arena will host the 2016 Silver Dollar Nationals Friday, Jan. 8 through Sunday, Jan. 10. During the first round of the 2016 USA BMX National Series, guests will witness more than 1,500 amateur riders from across the United States compete for the chance to continue competing for the championship title and their chance to compete in the 2016 Olympics in Brazil. This event is free and open to the public. With Bonkerz Comedy Club, comedy is tucked away in Addison’s Lounge at the JW Marriott and Rampart Casino. The lineup this month at the free 7 p.m. Monday shows include: Jan. 7 Bobby Wayne Stauts seen on “Modern Family;” Jan. 14 Helen Hong seen on ‘Standup in Stilettos;” Jan. 21 Angie Krum seen on Showtime, ABC and FOX; and Jan. 28 Allan Stephan seen on “The Tonight Show”. Grimaldi’s Pizzeria is kicking off 2016 with a pizza and beer pairing and the new seasonal cheesecake flavor of the month Amaretto. 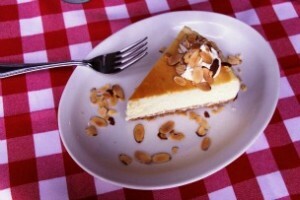 Desserts are prepared fresh daily and start at $5 a slice. While it may be cold outside, Las Vegas’ original dayclub REHAB at Hard Rock is preparing for another wild summer with four days of casting calls Jan. 9–10 from 11 a.m. to 3 p.m. inside Body English Nightclub and Jan. 14–15 from 1 to 4 p.m. inside Muse Hall. Las Vegas Convention and Visitors Authority and McCarran International Airport will host Routes Americas, the 10th Route Development Forum for the entire Americas region, in Las Vegas in 2017. Routes Americas is the essential route development event for all aviation based companies who wish to conduct business to, from, and within the region. WYNN/ENCORE HAVE MADE SELECTION OF LUXURY SUITES AVAILABLE: Wynn and Encore made the resorts’ ultra apartments and villas available for rent. The 5,829-square-foot Encore Three Bedroom Duplex features a billiard room and private massage and exercise room surrounded by floor-to-ceiling city views. The duplex is anchored by a grand living room and dining area that comfortably seats 16 guests. Along with a private bedroom, the first floor offers a formal dining table, work space, wet bar, separate powder room, butler’s pantry with refrigerator, and elevator to the second floor. The Wynn Fairway Villas offer private views of the Wynn Golf Course with private balconies equipped for outdoor dining. Villas include a private massage room, or the spacious living room with seating for eight featuring a 52’ LCD HDTV and a separate powder room. Fairway Villas include a work space, complimentary in-room high speed Internet access, and a breakfast nook with a wet bar.